Lord of Ultima was a MMO browser game that is free to play and was launched back in 2010 by EA Phenomic. 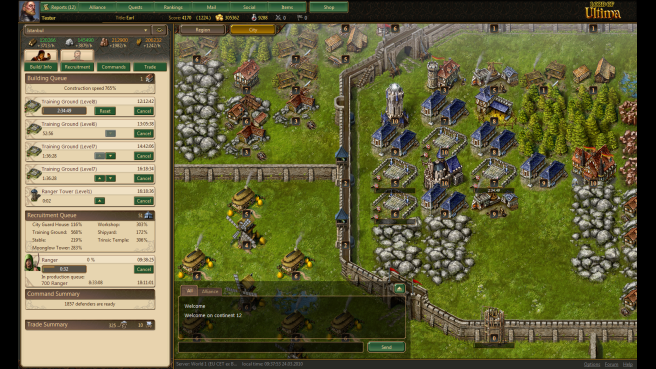 It is a 2D strategy game that has players begin with a completely empty village that needs to be turned into a hugely successful capital city. 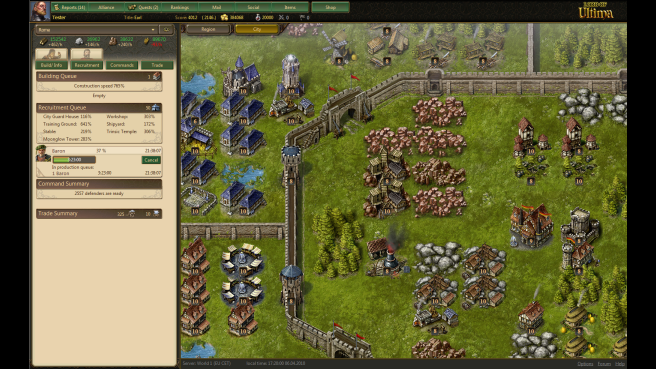 The game was discontinued on May 12 2014. 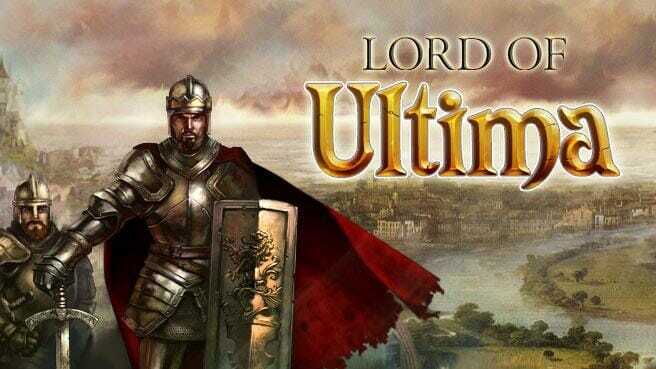 Lord of Ultima plays similarly to many of the other web based strategy games that are widely available but that is not to say that it is identical. It does have its own unique traits that set it apart from the rest. For a start, there is no download needed to play the game, it can simply be played straight from your web browser. From there you give a name to your character and choose from a selection of 12 different pictures to be used as your avatar. Once you have done the above you are assigned randomly to a continent found somewhere in Caledonia. A quick tutorial will then take you through the games basics and let you complete a few easy beginner tasks. This will entail constructing your first buildings such as a wood cutters and cottage etc. 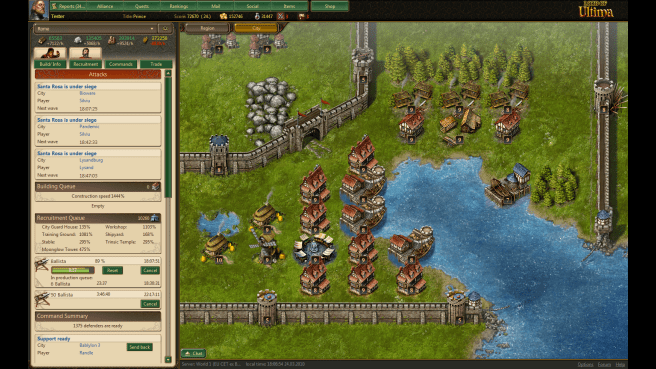 Before long you will have the makings of a small city underway, which will have you collecting each of the four main resources and training your citizens into a fledgling army.The resources consist of wood, iron, food and stone and you will also need to make the in-game currency called gold coins which can be collected as tax from your citizens. You are then well on your way in the game and can then attack other players, conquer cities but only once you have got passed the 7 day protection period that is placed on your city. This means that you cannot be attacked or attack for a full week, allowing you to build your city without being bullied by more powerful players. One of the key reasons this game stands out from the many others is the fact that where you place your buildings is extremely important. An example would be the woodcutters, which will suffer efficiency if it is too far away from wooded areas. There are a total of 34 different buildings that can be constructed too, so this makes placement a real big challenge in the game. 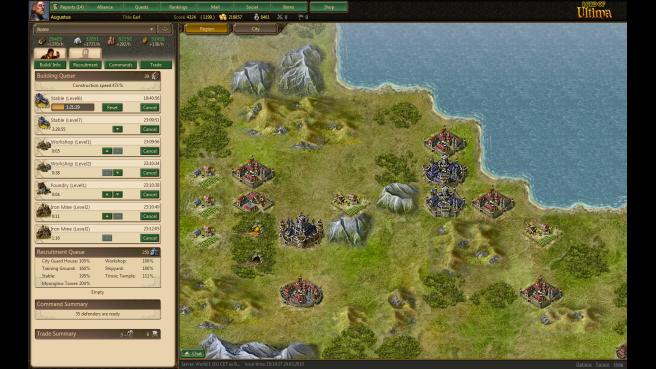 There are also 18 different army units that can be constructed, which are what you will use to defend your city or attack others. 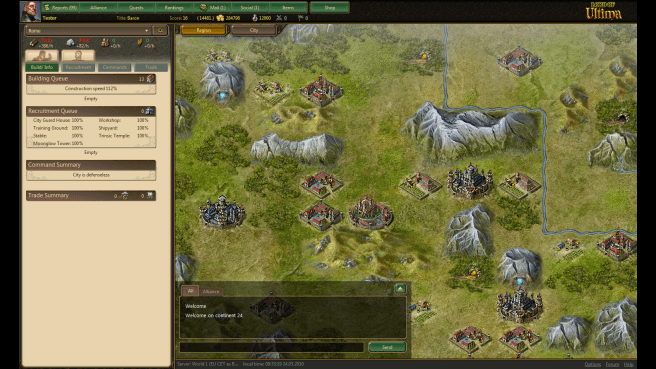 The graphics in the game are about what you might expect from a strategy game, especially one that requires no download. It is a game that is generally a casual one that relies on just a few hours of play each day, so it is not one to be taken overly serious. For those that do take it serious however, there are premium features that will give you advantages over those that prefer not to pay to play a free to play game. 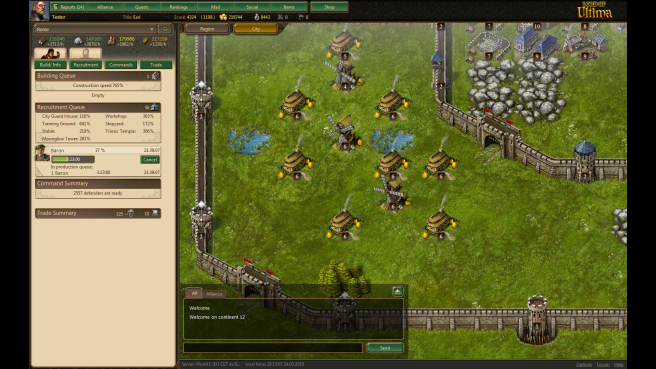 These premium features are designed to speed up the gameplay with regards to construction times, training of armies and collecting resources. 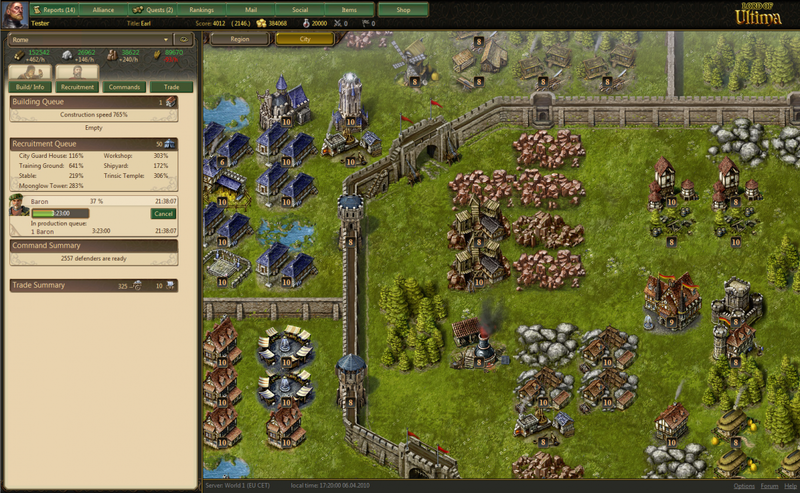 Strategy games have been done to death in the past and although this game does offer a few things a little different to the norm, we feel they are not enough to really keep people interested.